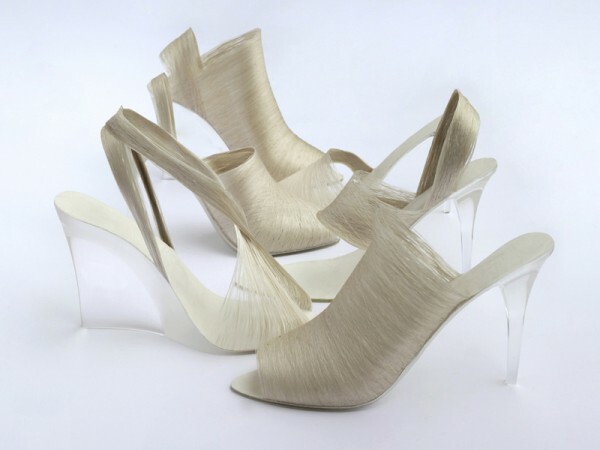 Despite appearances, no blondes were harmed in the making of these shoes. 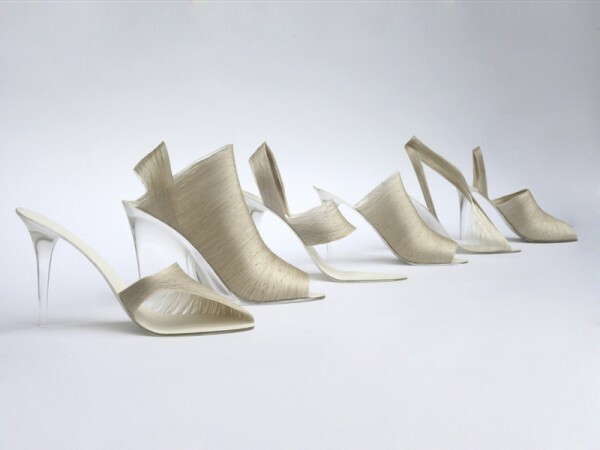 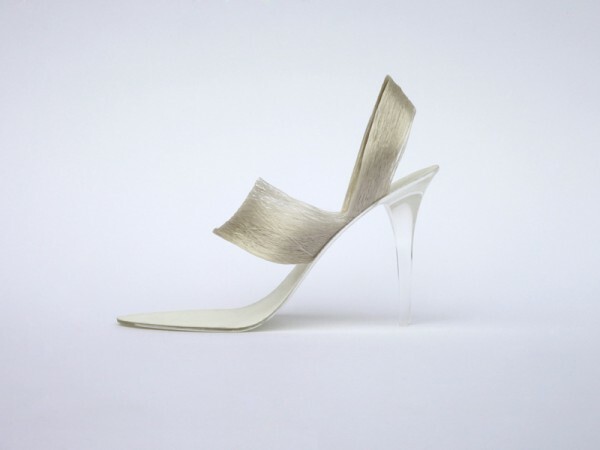 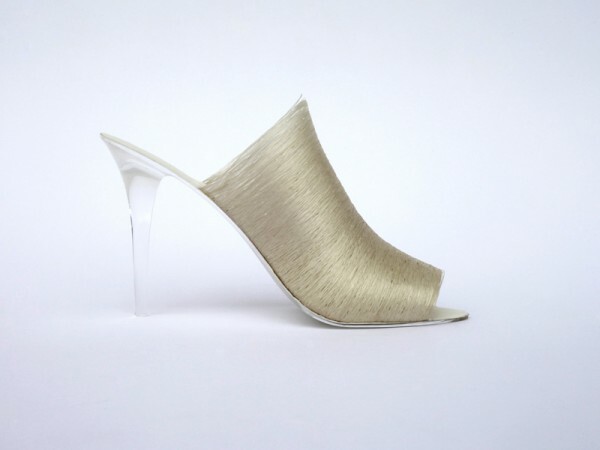 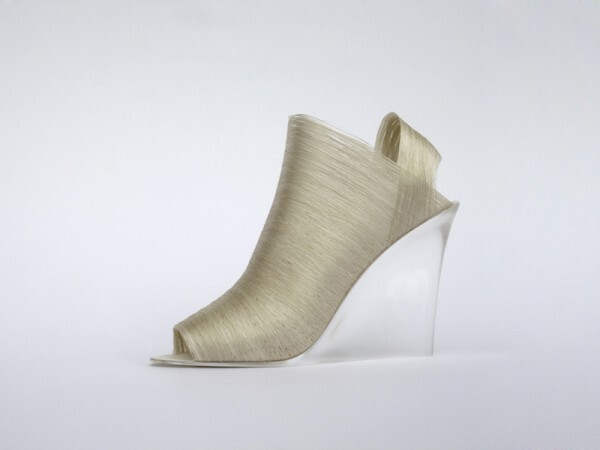 Instead, German designers Nicole Goymann and Christoph John crafted their Léi Zǔ shoe collection from wet silk filaments wound around shoes lasts and bound together with the silk's own natural glue. 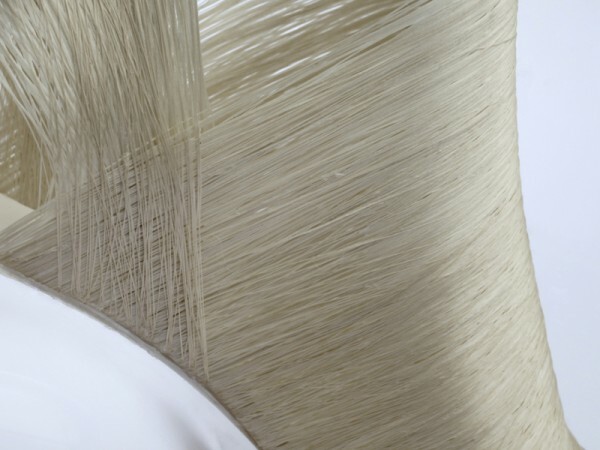 Sourcing cocoons from silkworm farmers near their adopted hometown of Hangzhou, China, the pair boiled the cocoons to release silk filaments and the silk glue. 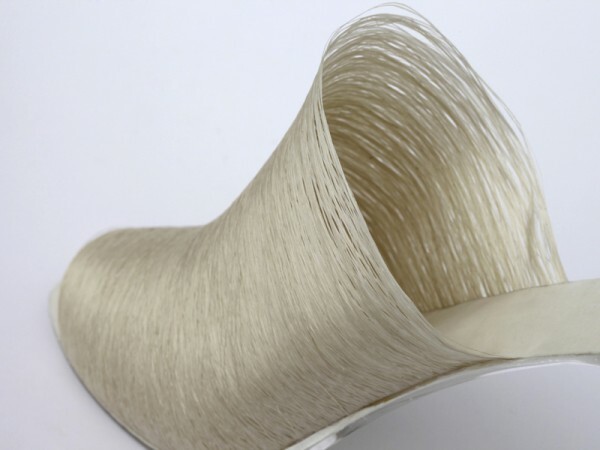 They then spun the fibers directly from the cocoon on a traditional wooden reel that was invented over 4,000 years ago by the collection's namesake, the legendary Chinese Empress Léi Zǔ. 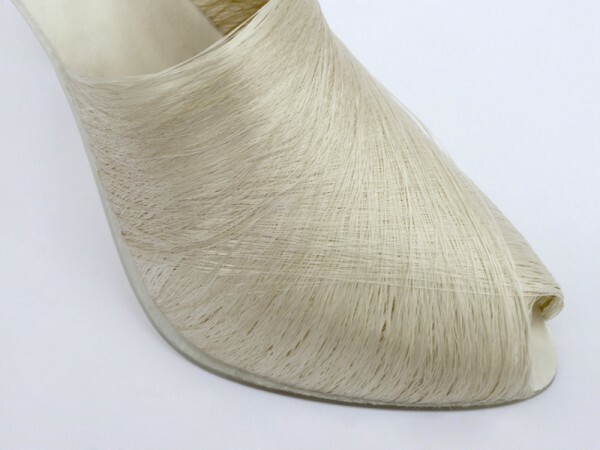 Once the natural glue hardened, the silk fibers formed a surprisingly stiff material around the shoe molds. 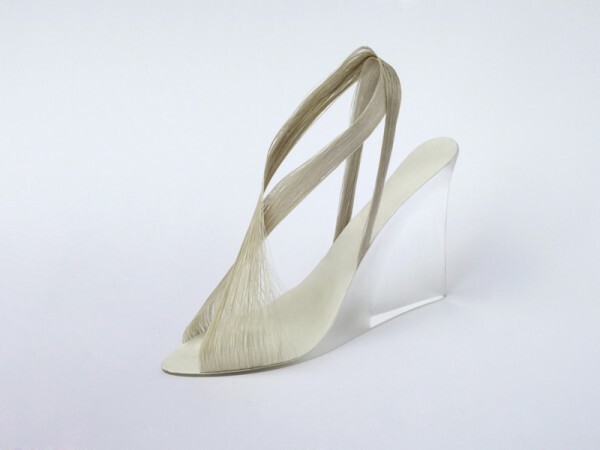 Paired with acrylic heels and soles made from the bark of mulberry trees, the shoes are only decorative pieces for now, but Goymann and John hope to market the collection in the future. 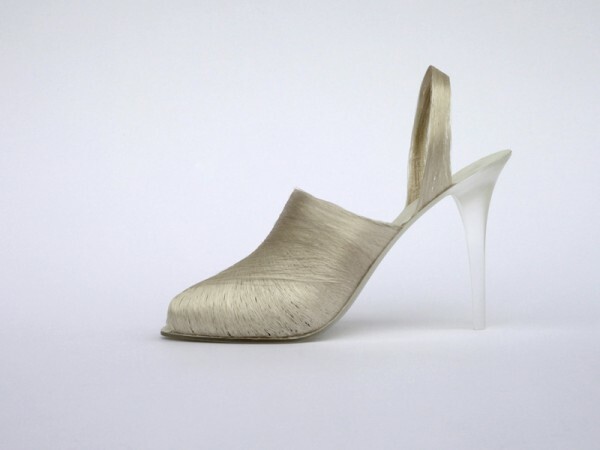 You better believe I'll be first in line.